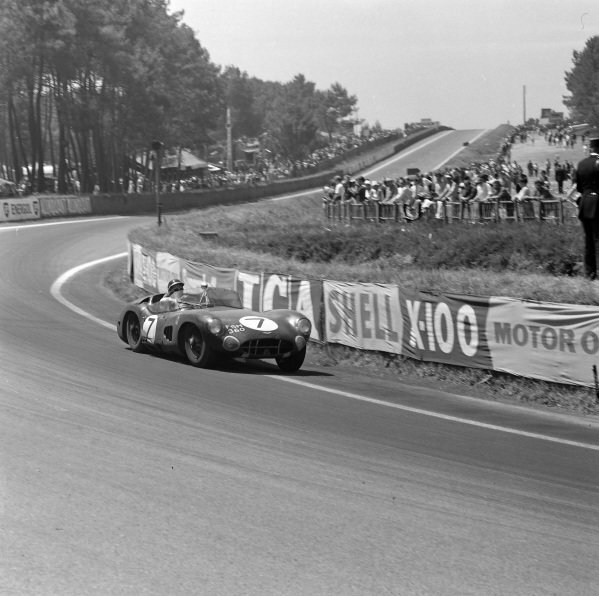 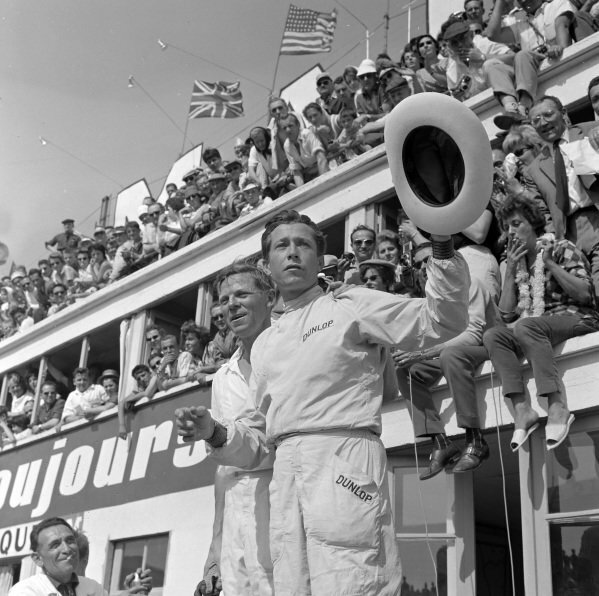 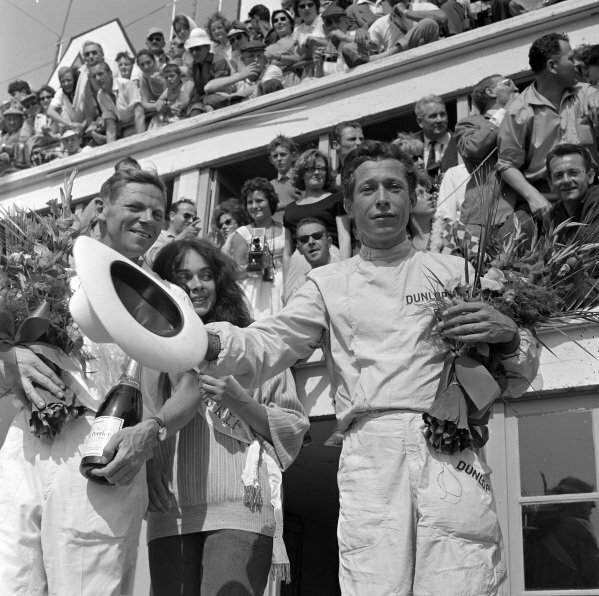 Paul Frère and Olivier Gendebien, 1st position, on the podium. 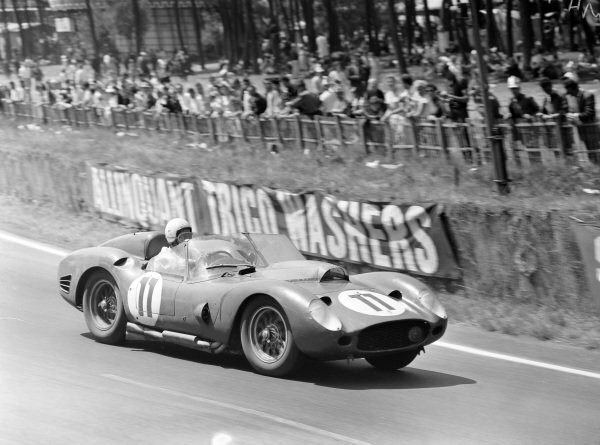 Roy Salvadori / Jim Clark, Border Reivers, Aston Martin DBR1/300. 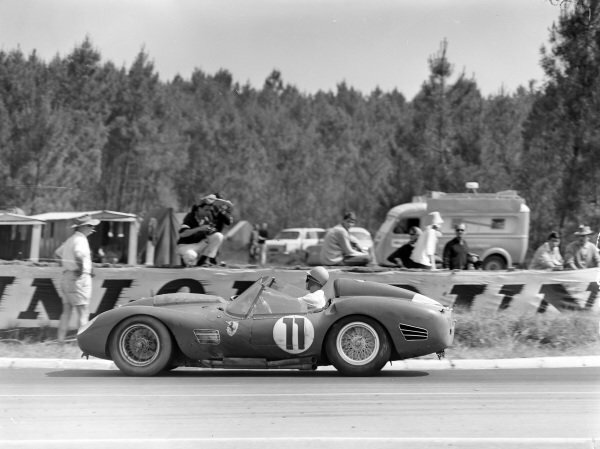 Ricardo Rodriguez / André Pilette, North American Racing Team, Ferrari 250 TR 59. 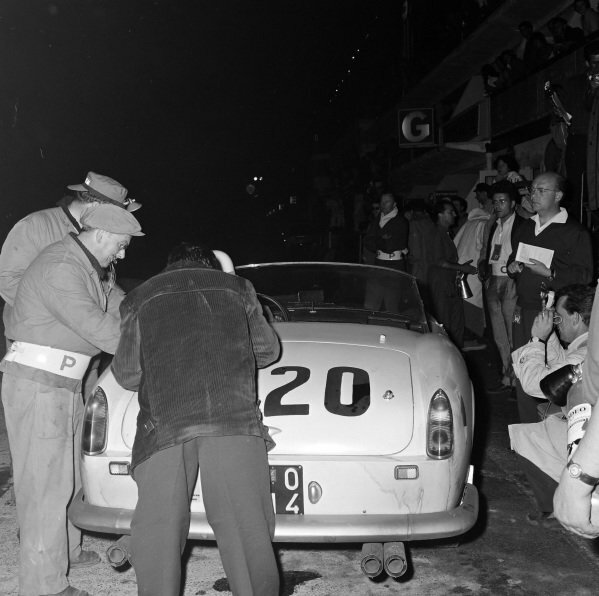 Paul Frère / Olivier Gendebien, Scuderia Ferrari SpA, Ferrari 250 TR 59/60. 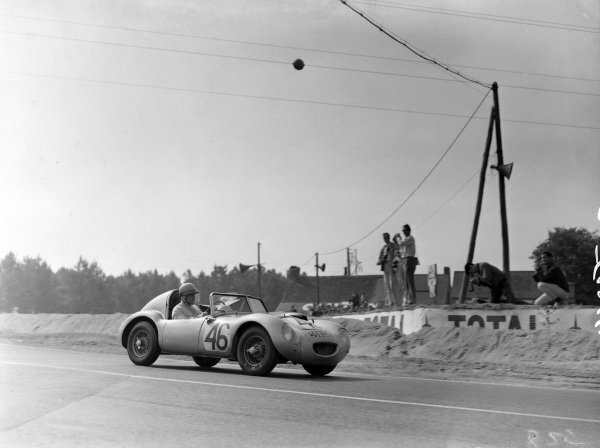 John Dalton / John K. Colgate Jr, Donald Healey Motor Co Ltd, Austin-Healey Sebring Sprite - BMC A-series. 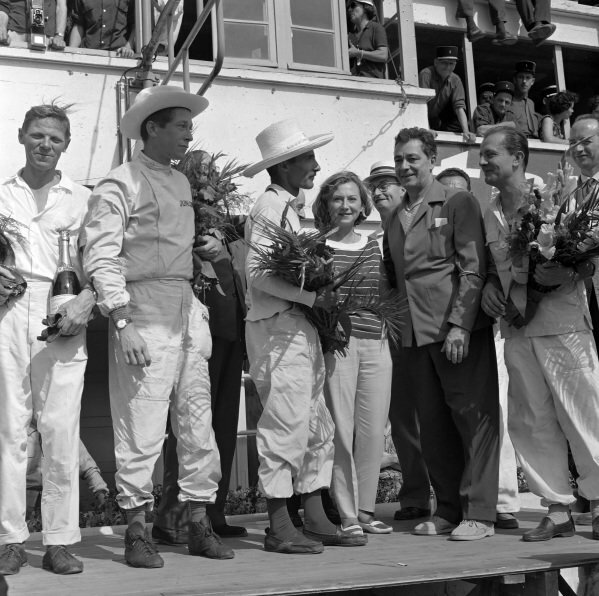 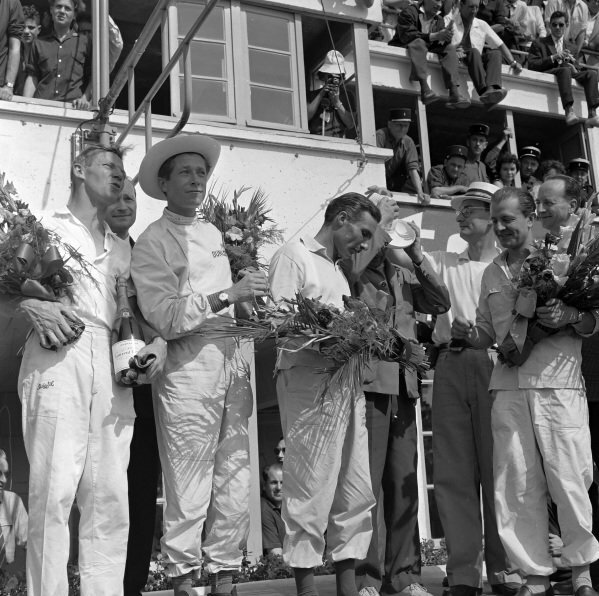 Paul Frère and Olivier Gendebien, 1st position, on the podium with other Class winners. 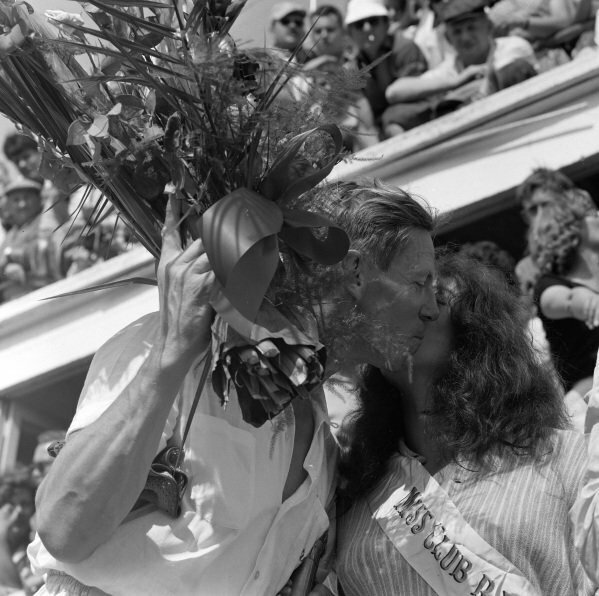 Paul Frère, 1st position, receives a kiss on the podium. 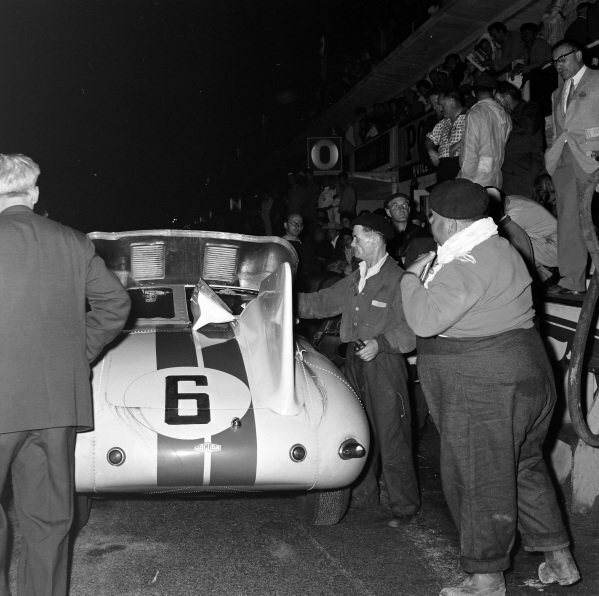 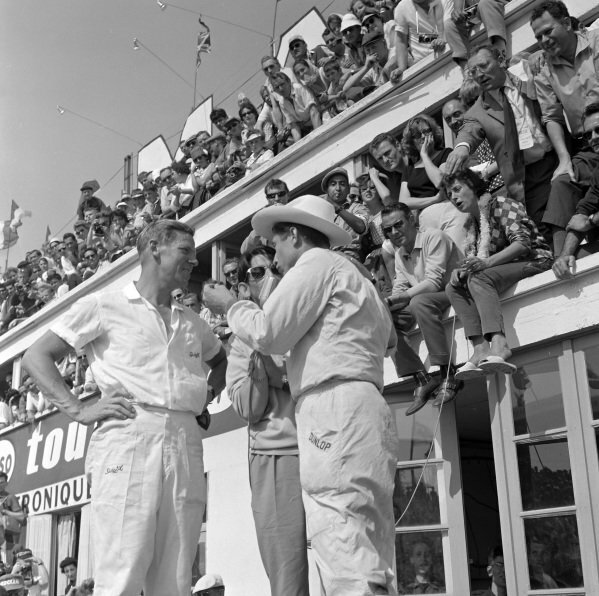 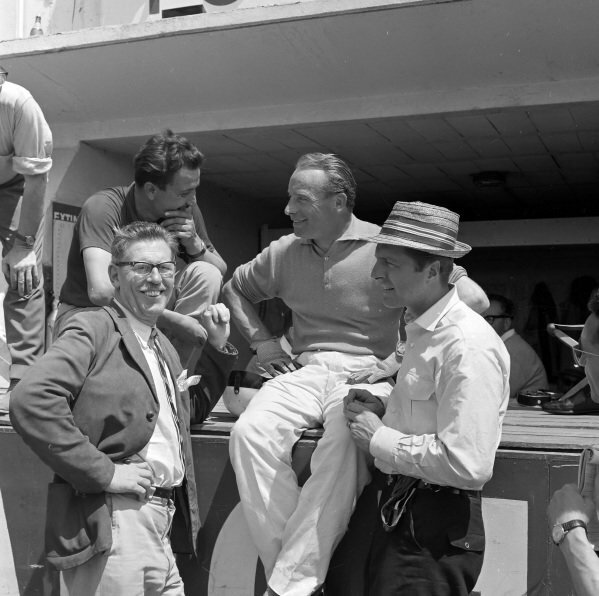 Wolfgang von Trips, with the hat, talks to some team mates in the pit lane during the race. 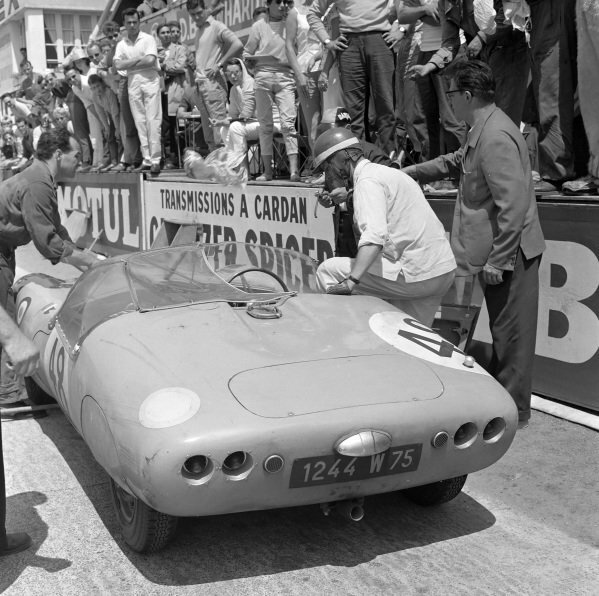 Paul Armagnac / Gérard Laureau, Automobiles Deutsch et Bonnet, D.B. 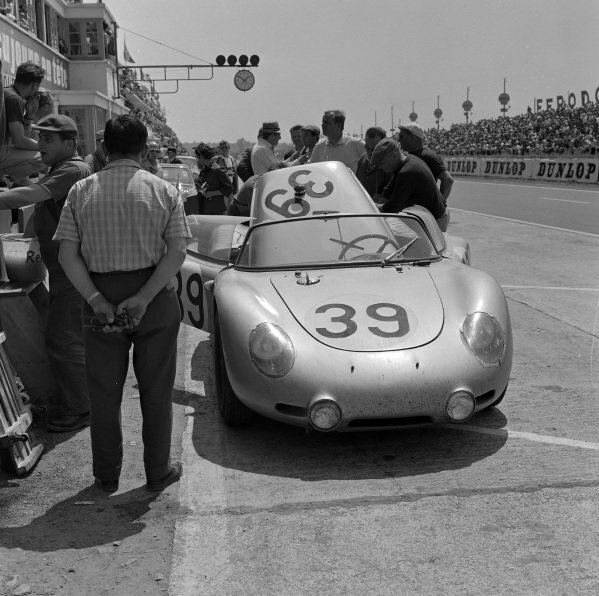 HBR 4 - Panhard (702 S), makes a pitstop. 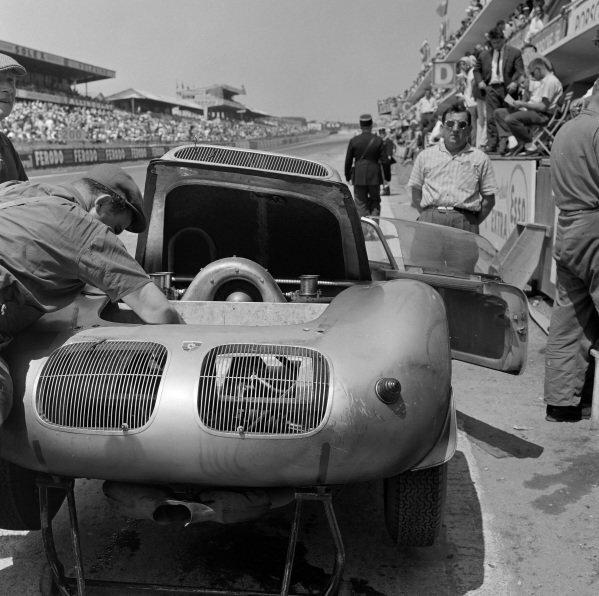 Edgar Barth / Wolfgang Seidel, Porsche KG, Porsche 718 RS60, makes a pitstop. 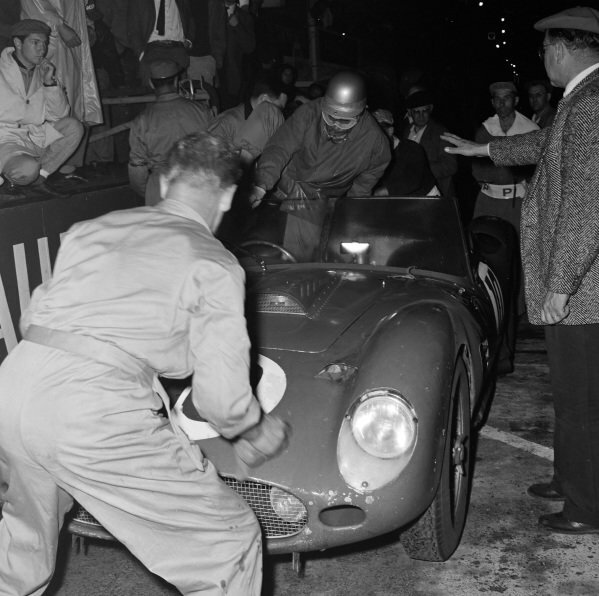 Paul Frère / Olivier Gendebien, Scuderia Ferrari SpA, Ferrari 250 TR 59/60, makes a pitstop. 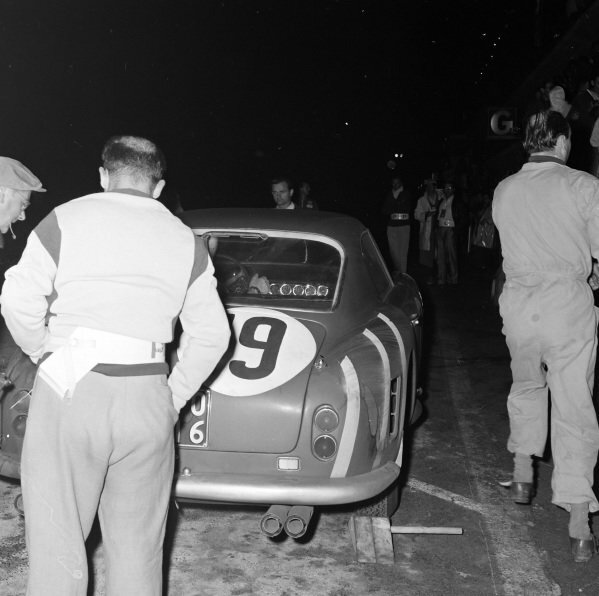 Ed Hugus / Augie Pabst, North American Racing Team, Ferrari 250 GT SWB, makes a pitstop. 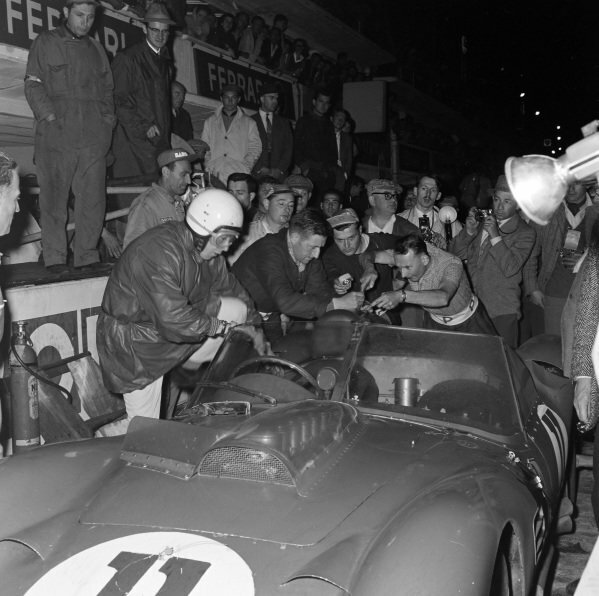 Willy Mairesse / Richie Ginther, Scuderia Ferrari SpA, Ferrari 250 TRI/60, makes a pitstop. 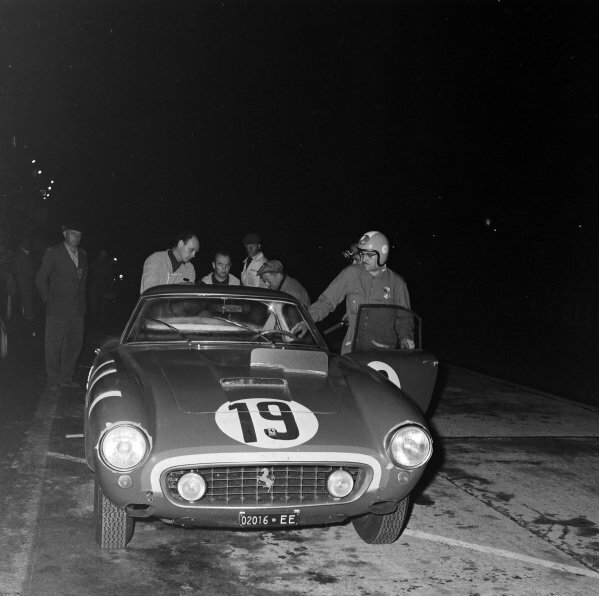 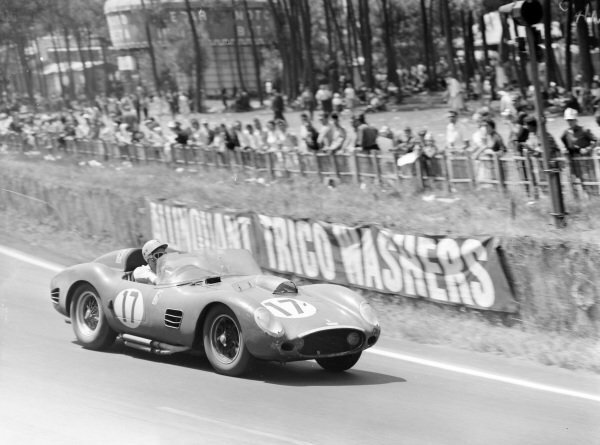 Jo Schlesser / William Sturgis, North American Racing Team, Ferrari 250 GT California, makes a pitstop. 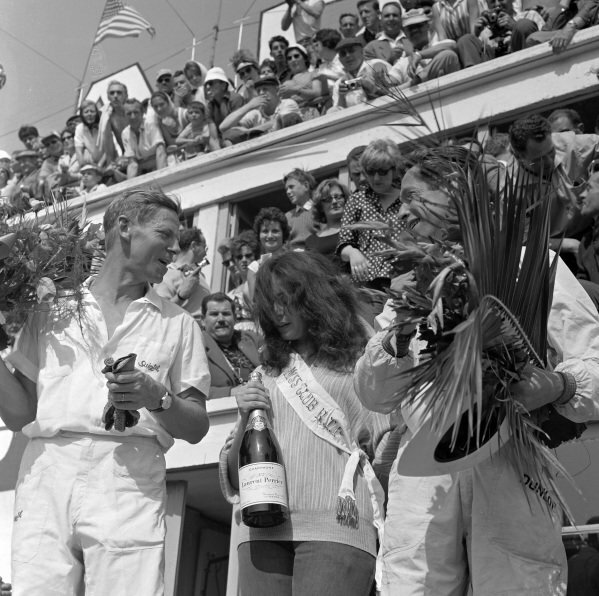 Dan Gurney / Walt Hansgen, B.S. 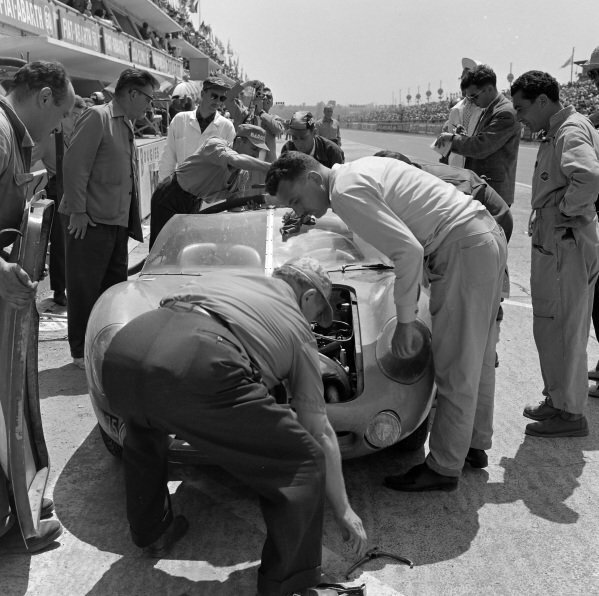 Cunningham, Jaguar E-type 2A Prototype, makes a pitstop. 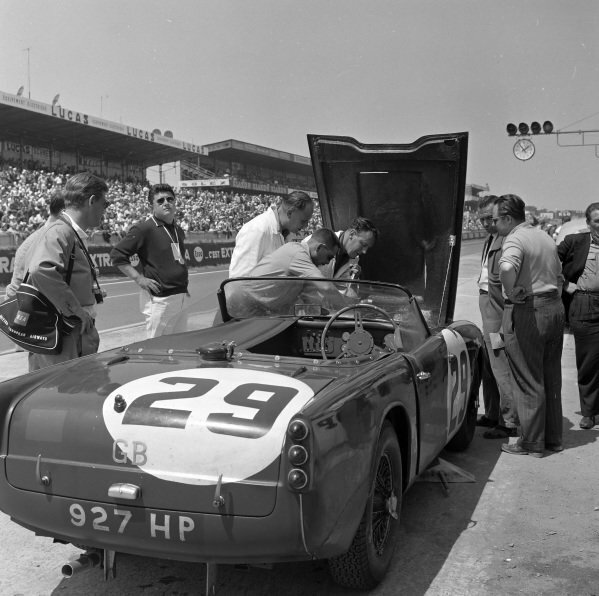 Peter Bolton / Ninian Sanderson, Standard Triumph, Triumph TRS, makes a pitstop.